For years the Legends series by Umarex has brought historic firearms to life as airgun replicas for shooting enthusiasts. 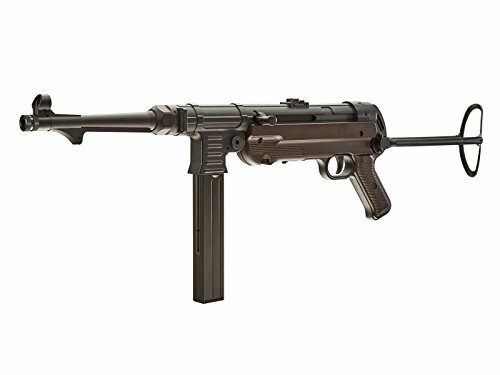 Now Umarex has created their very own German MP40 submachine gun replica. This .177 caliber BB rifle promises hours of fun with a 52 round magazine and full auto capability! Powered by two 12 gram CO2 cartridges, simply select full or semi-automatic firing, and mow down tin cans like never before. 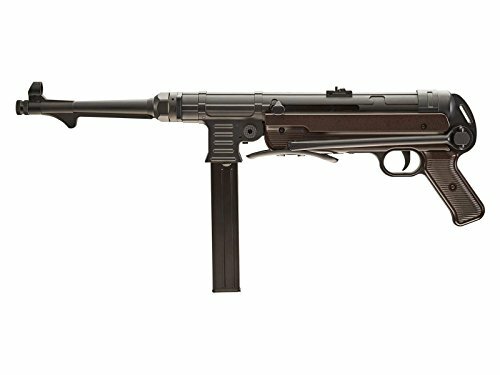 The "real steel" MP40 was first developed in 1940 for German paratroopers and later became the standard submachine gun for the Wehrmacht infantry. 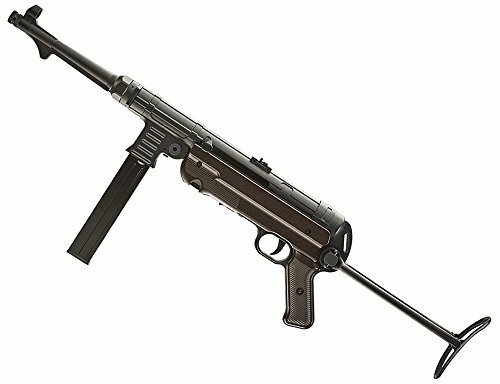 The Legends MP40 is a faithful replica that will transport you back in time the minute you pick it up. The realism is highlighted by the full metal body and folding shoulder stock. The hooded front sight and adjustable rear sight stay true to the original design and keep your eyes on the prize. For fans of WWII military arms, this legendary gun can finally be yours! The webmaster. Your support ID is rejected.